The OC&T RR began operation in 1986 as a tourist attraction, traveling through 13 1/2 miles of the scenic Oil Creek valley to visit sites associated with the history of the oil heritage region. Stops include the Perry Street Station (Titusville), Drake Well Station, Petroleum Centre, and Rynd Farm. 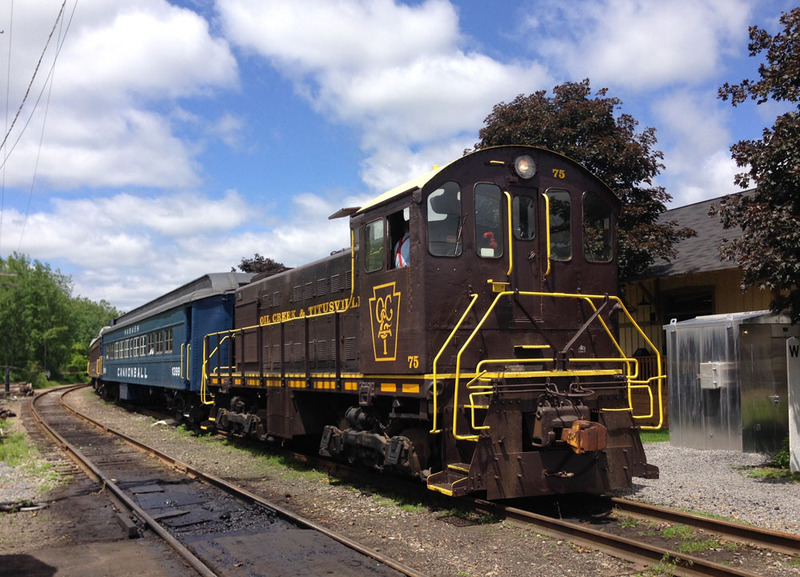 “Oil Creek & Titusville Railroad,” NW PA Heritage, accessed April 26, 2019, http://nwpaheritage.org/items/show/41.